The foremost of obstacles of solar energy harvesting is self-evident - during heavy cloud cover or at night, when energy demand reaches its peak, output from solar arrays drops to zero. It's this intermittency, not to mention the inefficiency of photovoltaic (PV) solar cells that keeps solar energy expensive and pushes the majority of renewable investment towards cheaper alternatives like wind. Although solar power is packed with high potential for energy storage, prices are kept impractically high because output drops to zero after sundown. But new innovation in solar energy storage, a new “photoelectrochemical’ energy cell developed by a University of Texas at Arlington which could satisfy our quest for 24-hour solar power. 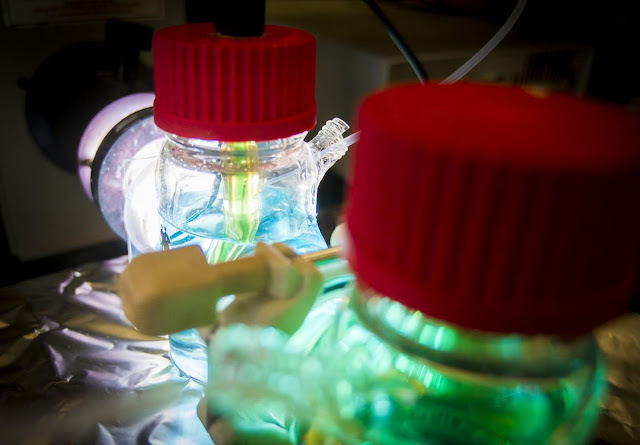 A University of Texas at Arlington materials science and engineering team has developed a new “photoelectrochemical” energy cell that can efficiently store solar energy and deliver electrical power 24 hours a day. It can also be scaled up to provide large amounts of energy, limited only by the size of its chemical storage tanks, according to Fuqiang Liu, an assistant professor in the Materials Science and Engineering Department who led the research team. The innovation is based on an all-vanadium photoelectrochemical flow cell that allows for storage of electrons in the cell — an advance over the most common solar energy systems, which are restricted to using sunlight immediately as a power source. The team is now working on a larger prototype. “The ability to store solar energy and use it as a renewable alternative provides a sustainable solution to the problem of energy shortage as renewable energy becomes more prevalent,” Liu said. 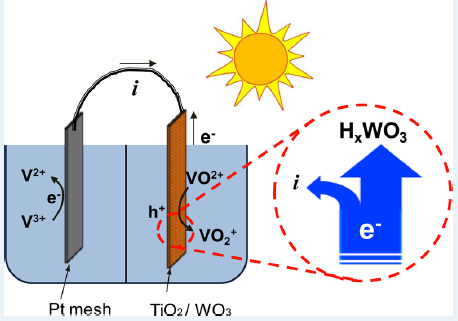 The research is detailed in the journal ACS Catalysis. The work was funded by a 2013 National Science Foundation $400,000 Faculty Early Career Development grant awarded to Liu.